How to fix plastic (acetate) glasses frame? 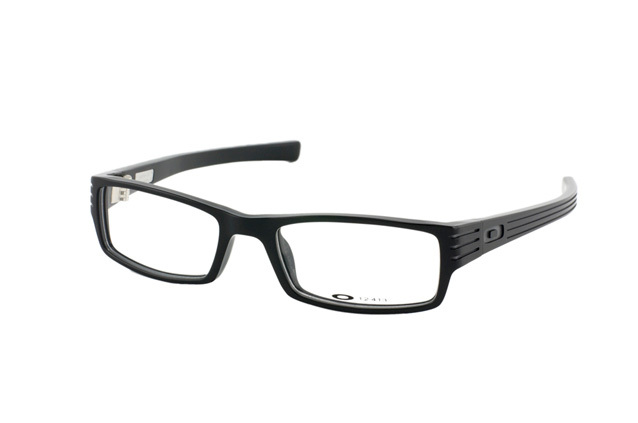 My prescription glasses has fallen on the ground... it's an Oakley Shifter 2.0 Black Smoke. Lenses are still good but the frame has broken when falling on the ground (a clean cut directly where the support of the nose is, in the middle). I tried glue but it's not though enough, and tape, but it folds on itself... nothing to do. I heard about dipping it in Acetone to make them glue together, but will it work or will it just break them more than they are? After reading carefully about the question on internet and how other have fix their glass' frame, It is known that acetate frames (or any other thing made of Acetate) can be "melt" using Acetone. You must be sure that your frame are made of pure acetate, which was my case. 24 hour later, it has sticked and really, it's hard as it used to (even more I think). With my finger, I just flattered surface with a bit of acetone to make it soft and TADAM! But Warning : Be careful because in my case, because it was related to glasses, it is really not recommended to do this for a long time usage. Do this for a "temporary" repair until you buy some glasses back really soon. Angles are really important in case of prescription glasses. Unless you are a professional and/or you have correct tools, you are not able to replicate the exact angle as your frame had for your very needs. Also, carefuly handles acetone... it is known to be toxic. Wash you hands and frame once you finished. It is a self setting silicone that cures in 24 hours. I have used it to perform a number of repairs, and it is pretty amazing stuff. 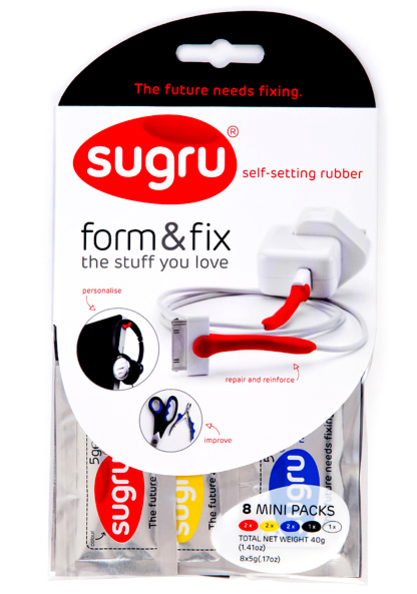 I repaired a pair of sunglasses with Sugru when the arm broke. The arm remained in a fixed open position, but it worked until my wife folded the fixed arm and broke it again. Most useful pack to start with is the multicolor 8 pack of 5 gram packets. Store it in your refrigerator to extend it's life. It has the consistency of Play Doh or modeling clay, but once it cures it's very solid. Well, here's an "out of the box " answer to broken glasses. If it's at the bridge and a pretty even brake use some electrical heat shrink tubing. It comes in lots of colors (including clear) it's cheap and it's soft on the nose too. I recommend judicious use of a lighter to shrink it as it's more focused than a heat gun and shrinks it tighter. You could possibly glue them with the tubing in place and shrink it later, but I haven't tried that yet. Not the answer you're looking for? Browse other questions tagged reuse diy glass repair or ask your own question. How to protect road damage from rain? Which is more sustainable for eyewear/spectacles : Glass lenses or Fiber-plastic lenses?